Reigning Premier League champions Chelsea will make a late swoop for want-away Arsenal star Alexis Sanchez, according to transfermarketweb. Although the 28-year-old attacker is currently in negotiations to sign a new contract with Chelsea’s North London rivals Arsenal, transfermarketweb report that Antonio Conte is exploring the possibility of making a late bid to entice Alexis Sanchez away from the Emirates Stadium. The Daily Star report that the former Barcelona player wants in excess of £400,00 a week to remain at Arsenal. However, the Arsenal board are said to be unwilling to meet the winger’s demands. 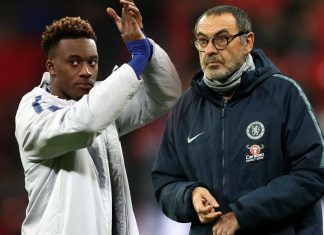 Seemingly unable to agree a new deal, Chelsea, along with a host of other top clubs, such as Manchester City and Monaco, are keeping close tabs on contract negotiations, according to the Daily Star. However, the same paper claim that Sanchez wishes to remain living in London. As a result, this is something which would make Chelsea favorites to land the Chile international. Much as i love Sanchez to death for his never say die attitude to the game,400k per week is way too much and would further exacerbate an already tumultuous transfer market pricing policy! Let us to do this Chelsea……!! Lets be serious and sign him and he can help us win everything if we combine him with hazard.